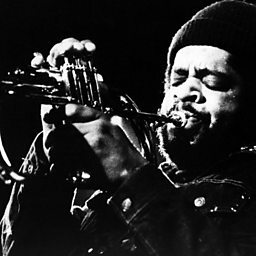 Robert "Bob" Northern (born May 21, 1934), known professionally as Brother Ah, is an American jazz French hornist. Born in North Carolina and raised in The Bronx, Northern studied at the Manhattan School of Music and at the Vienna State Academy in the 1950s. He is perhaps best known as a session musician, working extensively in the 1950s and 1960s with musicians such as Donald Byrd, John Coltrane, Gil Evans, Sun Ra, McCoy Tyner, Roland Kirk, and the Jazz Composers Orchestra. He also worked with Don Cherry, Thelonious Monk, Freddie Hubbard, Miles Davis, Dizzy Gillespie, Eric Dolphy, Charlie Haden, and John Lewis. He lived in New York City from 1963 to 1971, and after a period of increasing interest in non-Western music, visited and studied in Africa (Ghana, Kenya and Tanzania) during seven consecutive summers (1972 -1977). In the 1970s he released several albums as a bandleader; his 1974 release Sound Awareness featured Max Roach and M'Boom. These albums were reissued on CD on the Ikef Records label in the 2000s. In addition to horn playing, Northern also branched into percussion and flute performance later in his career. He taught at Dartmouth College from 1970 to 1973, Brown University from 1973 to 1982 and then at the Levine School of Music in Washington, D.C. from 1982. Northern is also the founder of the World Music Ensemble, a group which explores African, Japanese, Spanish, East Indian, Native American and American musical traditions and the founder of The Sounds of Awareness Ensemble which explores the sounds of nature and music. Northern, as Brother Ah, hosts a weekly jazz oriented radio program, The Jazz Collectors, on station WPFW in Washington.